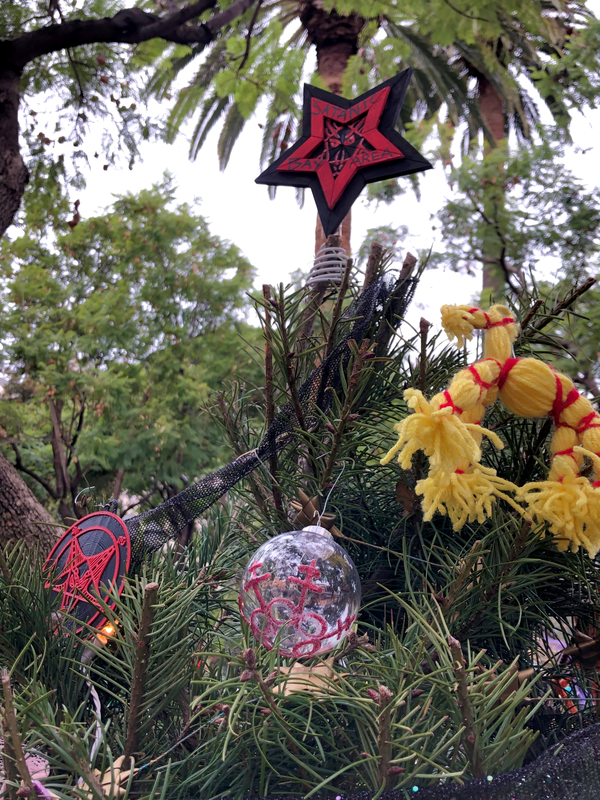 For the second year in a row, visitors to San Jose’s Christmas In the Park have decided to help themselves to the decorations on a Satanic Christmas tree. 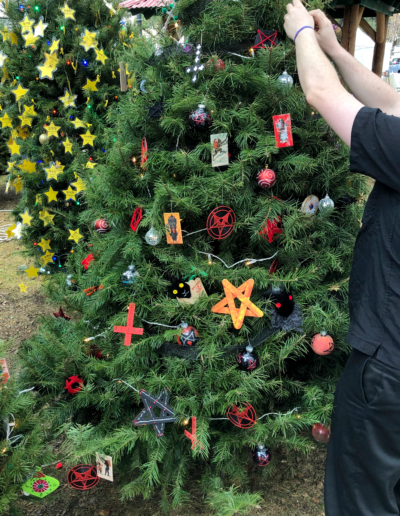 In 2017, a chapter of the Satanic Temple decorated a tree at the annual South Bay Christmas gathering. In short order, a still-unidentified Grinch stole a goat mask from right off the top. 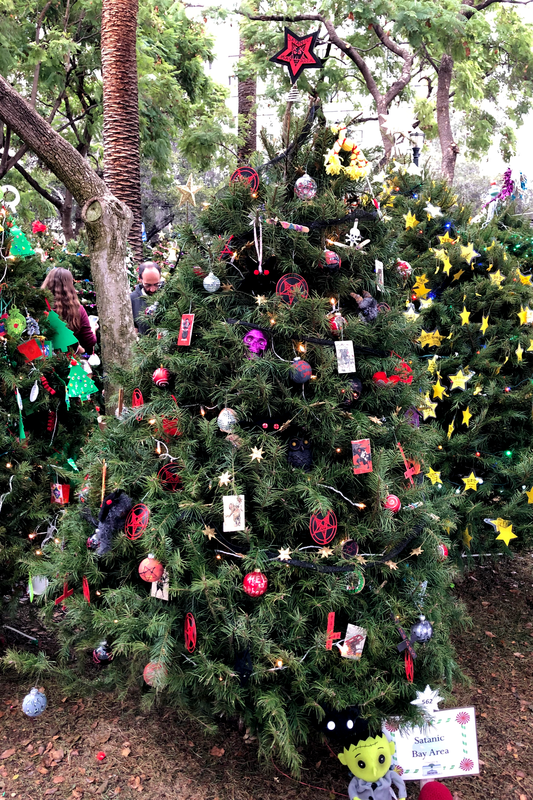 This year, Satanic Bay Area — a separate organization — raised a tree of our own. 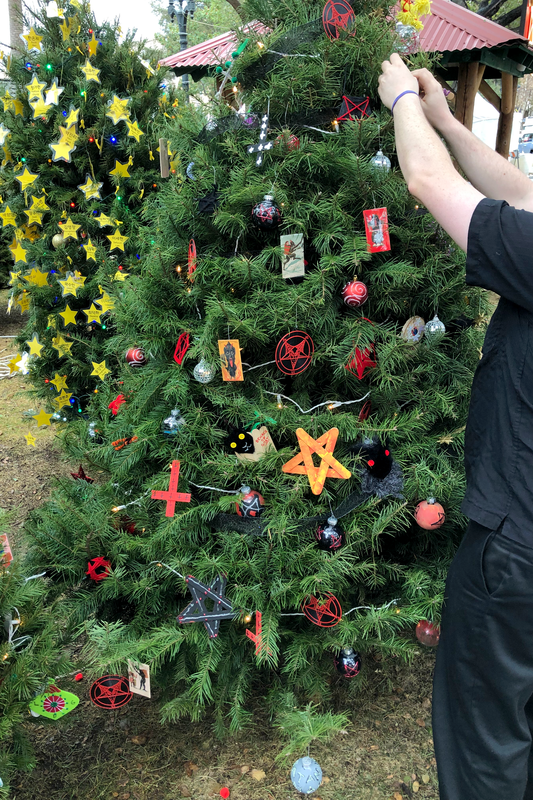 So far park goers have left the pentagram up top alone, but after just 72 hours the tree required redecoration because so many other ornaments have been stolen. 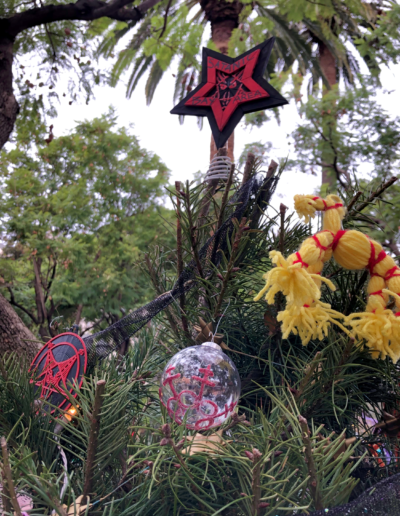 Satanic Bay Area is an independent, Bay Area-based grassroots group of atheistic Satanists. 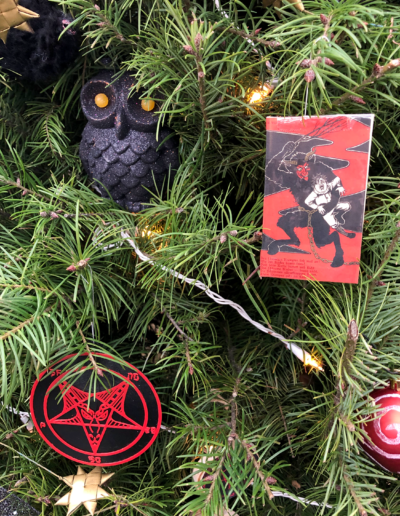 Founded in 2015 (as Satanic San Francisco), SBA creates both religious community and left-wing political action for Satanists in the South Bay and beyond. SBA members hung nearly 140 Satanic-themed ornaments (mostly handmade) on a roughly seven-foot tree in Cesar Chavez Plaza on November 23. 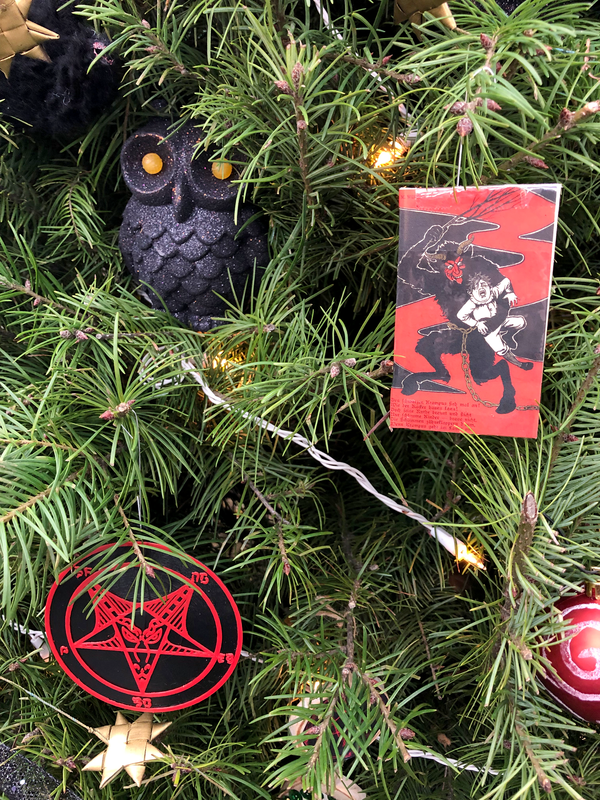 It’s our hope that the proliferation of Satanic-themed holiday displays in cities across America helps people realize that Satanist groups are part of their local communities too, and that many different kinds of people find joy in the holiday season. But it seems some people’s idea of holiday cheer is to pull a reverse-Santa and make off with the goods in the middle of the night. 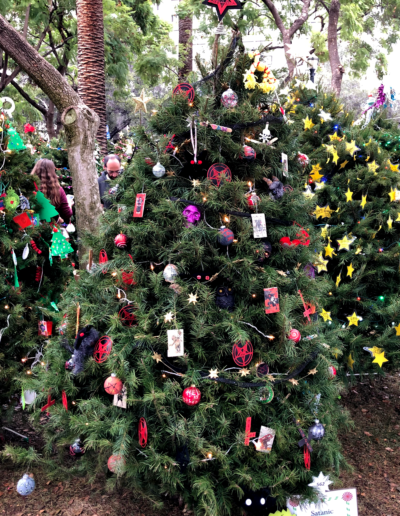 Christmas In the Park’s organizers tells us that ornament theft is not uncommon most years. We’re fairly certain that people are taking them out of admiration rather than antagonism. But we’re running out so fast that we’re issuing this plea for light-fingered admirers to stop. 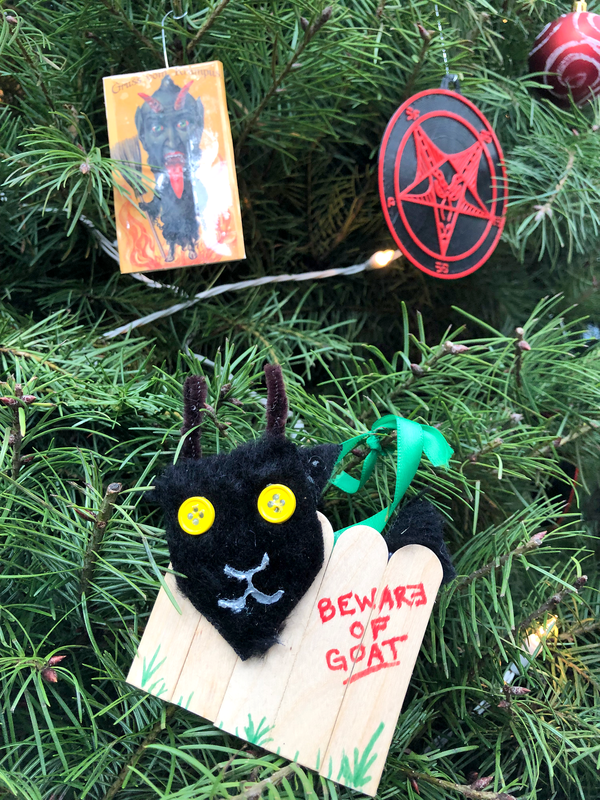 If you really want a Satanic ornament, email us and we might just send you one. 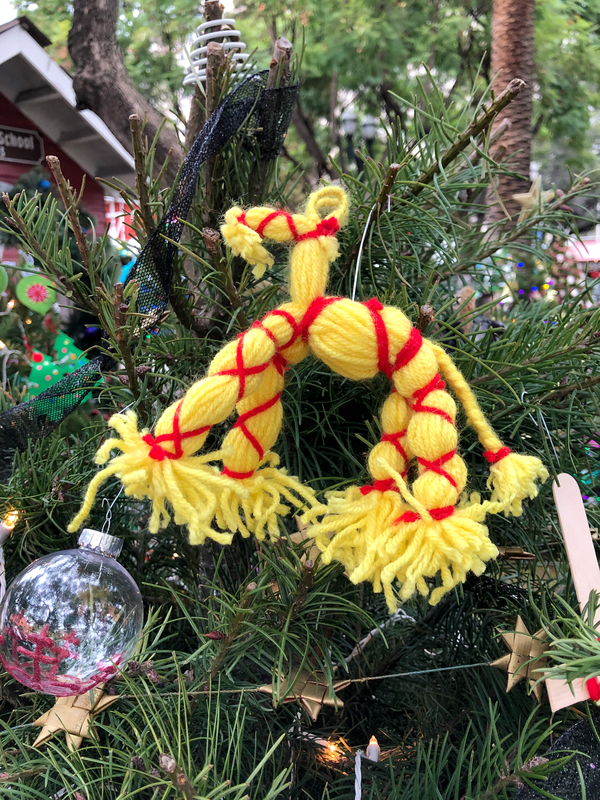 Fellow Satanists in Sacramento have volunteered to make additional ornaments to help reload. If this keeps up, we might have to put some kind of curse on the new ones — or maybe just stick something gross on the backside, we haven’t decided yet.